In all the 46 rooms of the Hotel Garden Cesenatico you a balcony where you can enjoy the sea breeze, some with small sea view supplement where you can admire the sun rise, other rooms without supplement with side view balcony or pool view from which you can enjoy romantic sunsets. 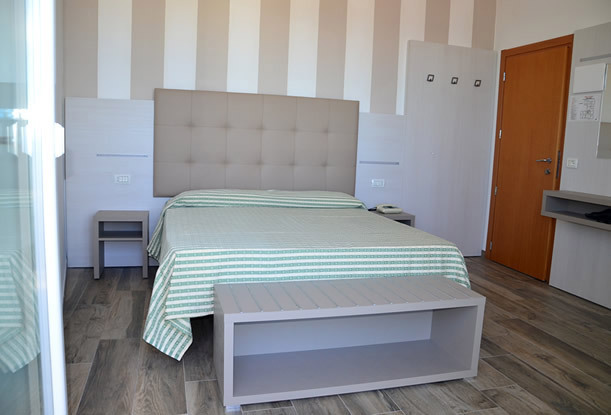 Double, triple or quadruple rooms and also interconnecting, with twin or bunk beds, all recently renovated, spacious, comfortable even for large families with private bathrooms. They are all equipped with air-conditioning, shower, balcony, safe, hair-dryer, telephone, free Wi-Fi, LED TV and refrigerator. 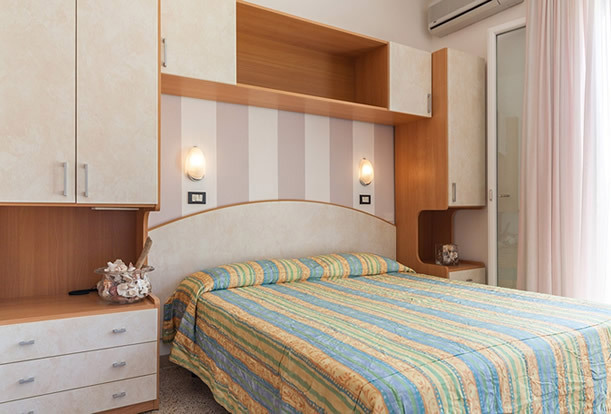 June in a hotel in Cesenatico: holidays, here we come! We promise you to treat your address well by sending you only the best deals. In exchange we will offer you a great Guide for your holidays on the Riviera Romagnola. It will be an unforgettable holiday!